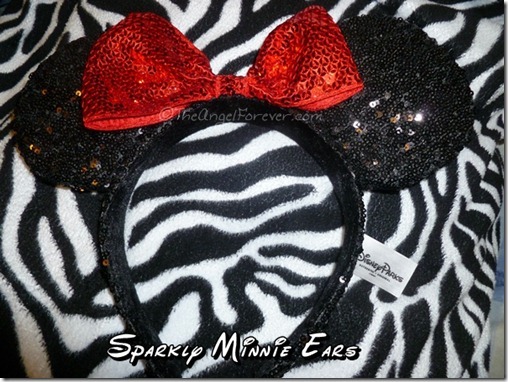 There is just something special about Mickey Mouse ears. They make me smile, think about fun times, and keep me going when times are tough. Last weekend, we were celebrating Purim and I knew exactly what my “costume” would include. 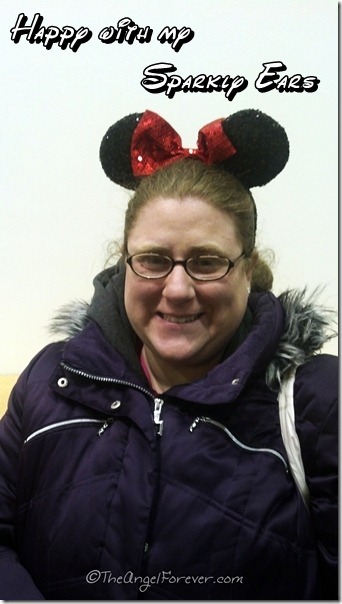 I had to wear my new sparkly Minnie Mouse ears that I bought while at Walt Disney World in December. Those are just like the ears I had as a child. They are also like the ears we got the boys to celebrate our first family trip to Walt Disney World. So many magical memories from many years and adventures. 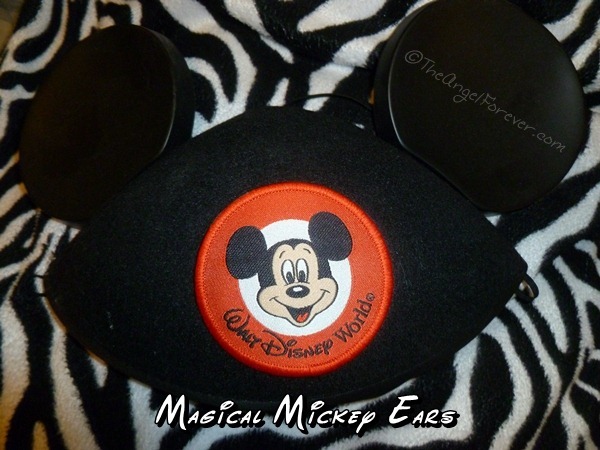 We also have special ears from trips. 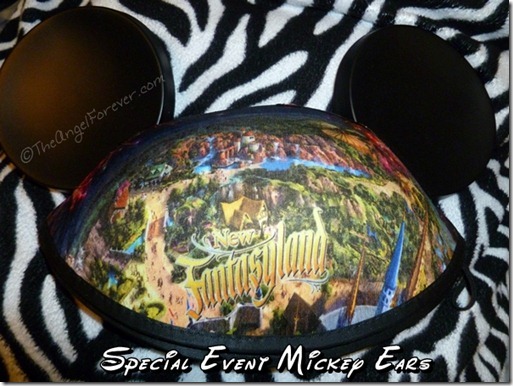 On our honeymoon, I bought a pair of Eeyore ears and TechyDad got a Fantasia Mickey ears hat. In December, we were given these beautiful ears that celebrate the opening of New Fantasyland. Still, I wanted to have something that nobody else in the house would want to use. I was selfishly thinking of being a the queen of the castle and getting myself something that sparkled. 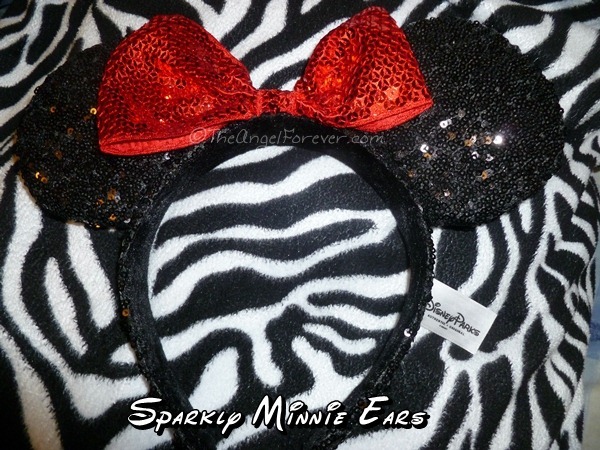 While walking around, I fell in love with a pair of Minnie ears. They called my name, but I was silly and never bought them until we were leaving the Magic Kingdom on our way back to hop on the Magical Express home. Yes, I was the person at the gift store asking to have my special new ears wrapped to pack so they would not be ruined traveling home. Thank goodness, my ears made it without any problems. I fully admit I sometimes just put them on while working around the house for no reason, just because they made me happy. When driving around with my ears on the other day, it made me smile. My only problem was not stares from people looking at my sparkly ears, not at all. I kept forgetting that I needed more clearance space when putting on my winter coat and getting into the cars with said ears. 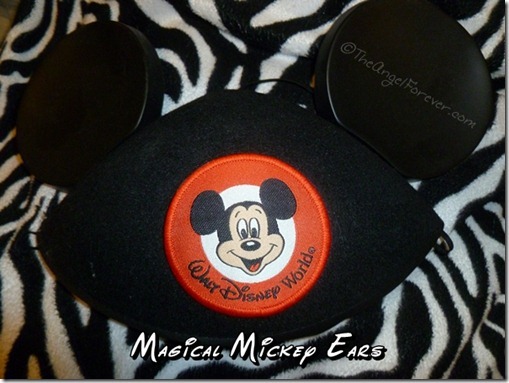 What are your favorite Mickey ears that you own or your children have? 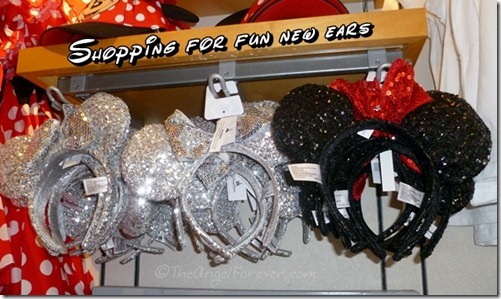 I would love to know if you wear them at home and when you are not in a Disney Park. I don’t have a pair of Mickey Ears of my very own. The pair I did have from Disney Social Media Moms were taken by my daughter. My son loves his Pirate Mickey Ears. Glad you have a special pair of your very own! Elle´s last blog post ..Where’s Lassie When You Need Her?